This is a guest post from Martin Lee. Back in 1999 when I started my career in this business as an IT “new business” contract recruiter, we used search software called ISYS. I had to make maybe a 100 cold calls to generate one live requirement; I wasn’t the best sales guy. Needless to say, when I got a requirement I had to provide a candidate pretty quickly or a competitor would. It brought results, I filled some jobs, and I continued to repeat the process of more cold calls and more searches. However many jobs I did not fill, and after all of those dreaded cold calls it pissed me off. I remember finding out the name of the successful candidate for one particular job and looking him up (pre-LinkedIn or social media of course). He was on ISYS, but instead of the word implementation, he had used the word implemented. I missed out because I searched for the word I had written down, not the word he had chosen to put on his cv. Even worse, when I checked on ISYS’ search capability, I found that it had an option to stem words (add variations to the end) so if I’d used implement* I would have found him! Despite that being almost 20 years ago (oh Lordy) it’s a fundamental sourcing lesson I use, and we try to teach to this day. Today we call it “natural language” searching, looking for words and phrases that people will use themselves instead of what might be in a job description. Example 2: Looking for security cleared staff. Again, I found some people, but none had the complete set of skills I was looking for, not on the CVs we had anyway. However, a high majority of the people I did find worked for a company called CSC who was an outsource partner to the Government & the Ministry of Defence. So what is my next search? Look for people who work at CSC because I know from other profiles that you MUST be security cleared to work there. The CVs on the second search I looked at had no mention of security clearance, but they had the technical skills. I filled the job. I call this searching by association in that we learn from one profile useful information and then adapt our search accordingly. Sourcing in 2018 is a little different to in 1999, in some ways I preferred it the way it was with limited data and platforms and the need to be creative. In other ways, I don’t prefer it, the amount of data out there that we can search for means that there is ALWAYS a person for the job you have, if you know how to search for them. Let’s take these two principles and apply them to two positions I have worked on recently. A salesperson to sell specialised orthopaedic (hip, knee, joints & extremities) equipment into the National Health Service. Sales orthopaedic NHS – is one obvious possible search. However, results were broad, some people had “sales” somewhere on their profile but not directly related to the NHS. I wondered how people would describe this on a cv, how would they write it down when explaining what they do? “Selling to NHS” was the phrase I had used, just that. Also interesting that they use the words bone and trauma, related words but different words. Wind farm engineers. People who maintain, support and fix existing wind farms. The people we placed didn’t have “wind farm” anywhere on their profiles but had “turbines” and quoted MW (the size of the capacity of the turbines) and kWh the power output. And another one didn’t mention any of these words; they just had the name of the company they worked for on LinkedIn. The principles are the same, no matter what market you recruit for or in which location. Whatever platforms you use or how much you spend on them, your search results are dependent upon the keywords you enter. How much thought do you give to what those keywords are? 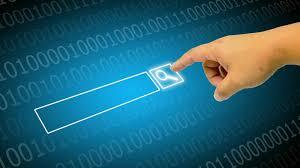 If you search the same as your competitors, you will often find the same people. For our blog readers, we offer up to 10 seats with 25% discounted price for the workshop.